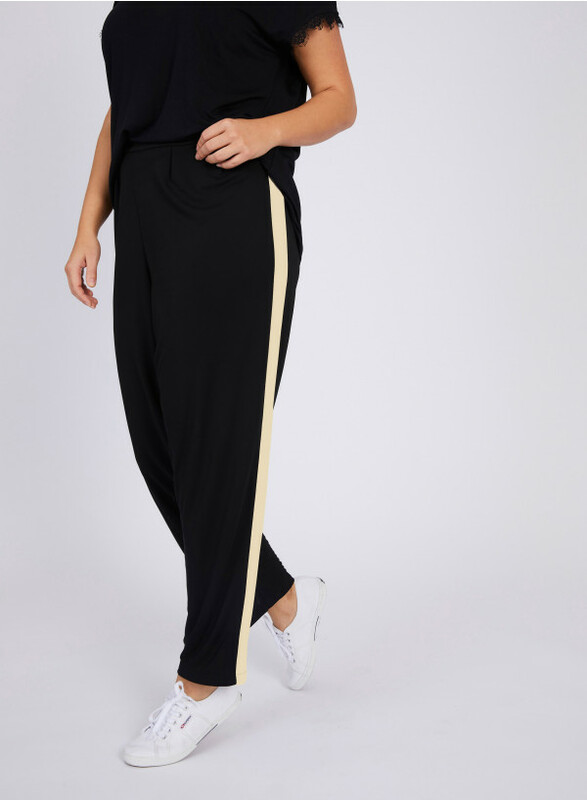 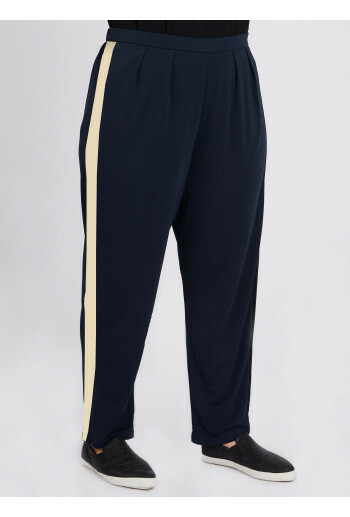 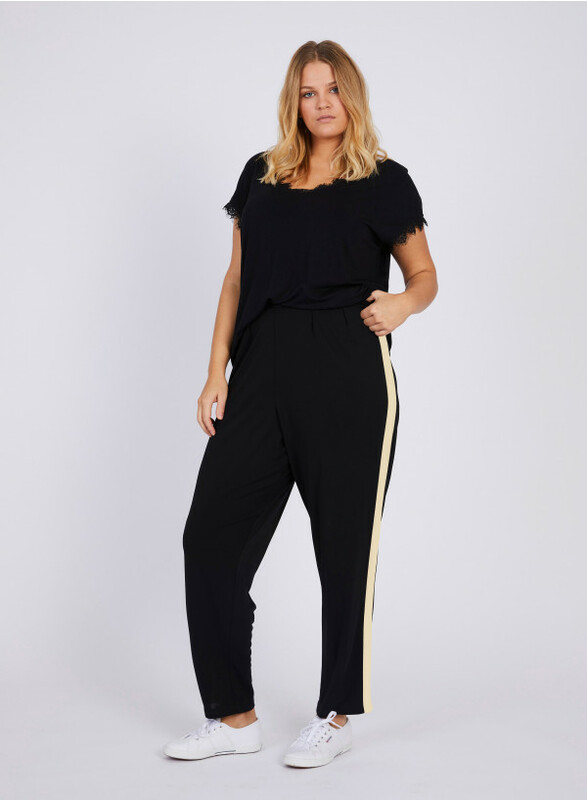 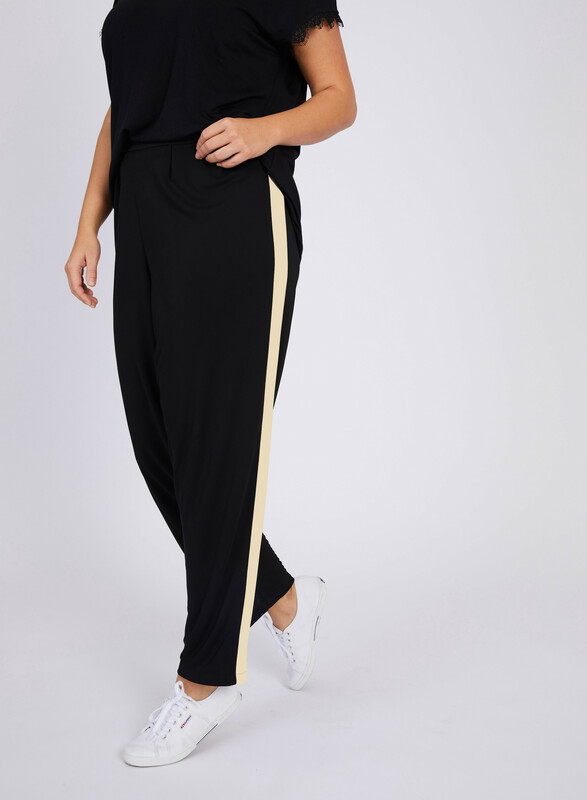 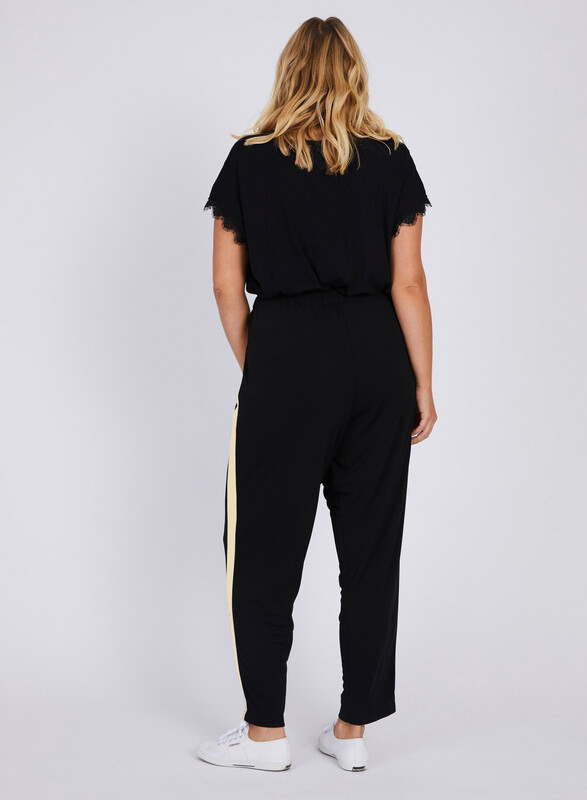 Keep your cool in these easy to wear crepe jersey trousers with street-style inspired stripes. Flat fronted with back elasticated waistband for extra comfort, these will quickly become one of your wardrobe favorites. Forever black with cream stripes. 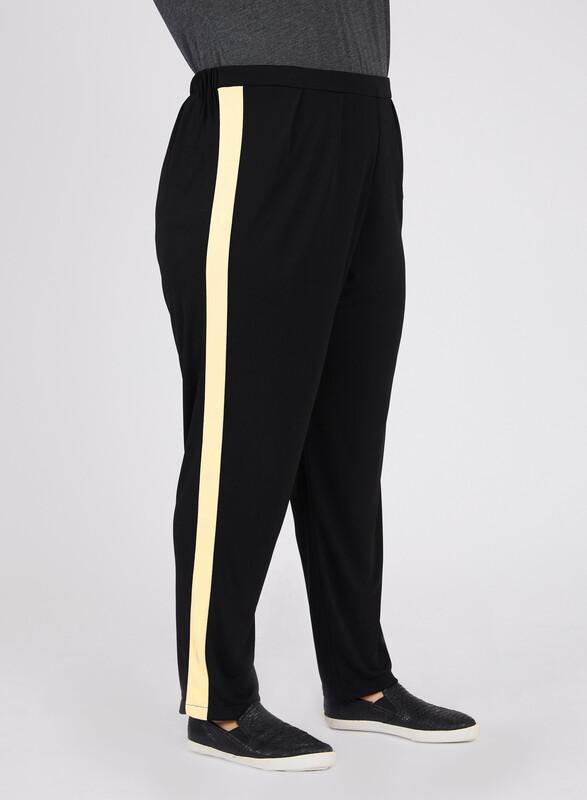 Inside leg length 16-28: 29"